Franz Peter Schubert (January 31, 1797 – November 19, 1828) was an Austrian composer. He wrote some 600 lieders, nine symphonies (including the famous “Unfinished Symphony”), liturgical music, operas, and a large body of chamber and solo piano music. He is particularly noted for his original melodic and harmonic writing. Schubert was born into a musically knowledgeable family and received formal musical training through much of his childhood. While Schubert had a close circle of friends and associates who admired his work (including his teacher Antonio Salieri, and the prominent singer Johann Michael Vogl), wide appreciation of his music during his lifetime was limited at best. He was never able to secure adequate permanent employment, and for most of his career, he relied on the support of friends and family. He made some money from published works and occasionally gave private musical instruction. In the last year of his life, he began to receive wider acclaim. He died at the age of 31, apparently of complications from syphilis, though others suggest Typhoid fever or gastrointestinal complications. Interest in Schubert’s work increased dramatically in the decades following his death. Composers like Franz Liszt, Robert Schumann and Felix Mendelssohn discovered, collected, and championed his works in the 19th century, as did musicologist Sir George Grove. 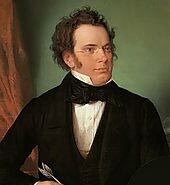 Franz Schubert is now widely considered to be one of the greatest composers in the Western tradition. Famous Composers – A list of famous and influential composers throughout history, including the greatest composers, such as Bach, Mozart, and Beethoven. Famous Austrians. 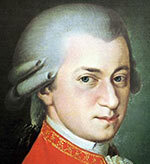 Famous Austrians, including Marie Antoinette, Sigmund Freud and musicians, such as Mozart, Franz Liszt, Schubert. Also Austrian political figures.